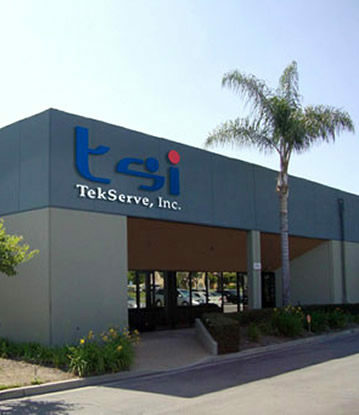 TekServe, Inc. is conveniently and centrally located at the corner of Segerstrom and Harbor in Santa Ana, California.TekServe, Inc. is committed to provide a quality service that meet or exceed customer expectations and comply with all requirements. With Santa Ana and Orange County Warehousing, TekServe, Inc. will ensure success through the adherence to an effective quality management system based on continual improvement and customer satisfaction.With an extensive RMA processing, repairing, and refurbushing experience history, we know the importance of record control, inventory control, and detailed reporting when it comes to post-manufactory services. TekServe, Inc is a logistics company serving Orange County and Santa Ana, that. has developed a reputation of efficient, accurate, and flexible services in the service industry. We serve Santa Ana and Orange County both. What industry channels have we served? It’s always a pleasure working with TSI on various projects. Their prompt response time and ability to follow through with each project is why we choose TSI as a subcontractor. I really appreciate TSI’s efforts and going the extra mile when any situation arises. I know I can count on TSI when we needs them to go above & beyond. Talk to one of our friendly staff today! (714)435-8180.